Light wood with uniform grain that can be nailed or screwed without fear of cracking. 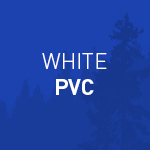 We use PVAC glue for its exceptional resistance to water, static and heat. This ensures joint stability even in humid or sunny environments, providing a product that is of much better quality than solid wood products. 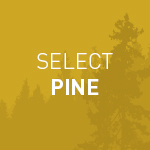 Jointed pine can therefore be used safely both indoors and outdoors. Less expensive than solid wood. Sold with two water-based basecoats the MDF moldings are ready to receive paint finish. Flawless, as their flat, smooth surface is uniform, dense and free of knots and grain patterns. Top grade solid clear softwood. 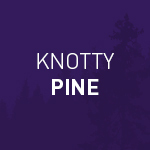 Select grade quality means wood that is almost completely flawless with only the occasional tiny knot. This wood grade is prized for the superior quality finish it provides. Light wood with uniform grain can be nailed or screwed without causing cracks. 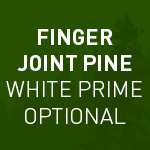 Since massive white pine has a high dimensional stability it can be used indoors and outdoors. Highly textured wood with more or less tight hollow veins. It’s color is always light brown with a touch of red and has only little variations. Great durability if placed outdoors but not in direct contact with the ground, it then has a life expectancy of centuries. 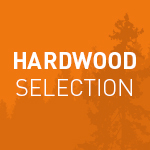 The heartwood is very resistant to cycles of drought and humidity. Its high density gives it legendary strength and very high mechanical resistance. A uniform white wood with fine texture, it’s heart ranges from a light yellowish color to reddish brown. Its finish is clean and smooth with a tight grain that is suitable for any use. You can easily polish it and many users leave it a natural color since there are new transparent coatings available on the market that prevent the wood to turn yellowish. Very stiff with good mechanical and chemical properties and good impact resistance even at high ambient temperatures (60 ° C). You can easily glue with different glues available on the market. Ready to be installed mouldings. 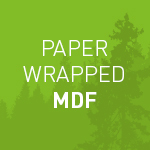 Paper wrapped MDF may be installed right away or can be painted. No time required for drying. 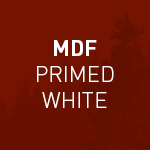 It’s colored in a universal white suitable for most rooms and decors. Compatible with any touch-up products on the market. When you want it to be perfect the first time!